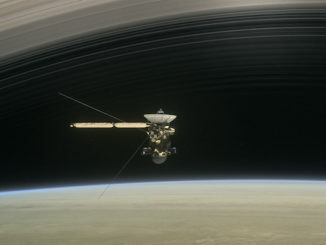 The icy material making up Saturn’s rings is raining down into the planet’s atmosphere at rates implying the rings will disappear over the next 100 million to 300 million years. 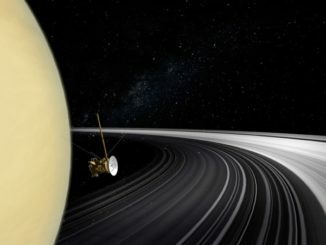 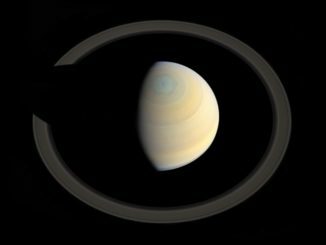 NASA’s Cassini spacecraft plunged into the atmosphere of Saturn in 2017, concluding a hugely successful mission to explore the planet, its rings and icy moons. 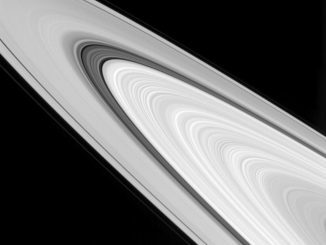 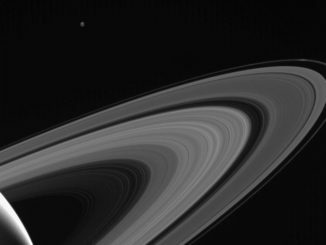 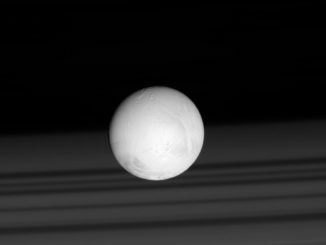 The spacecraft’s close-up images of Saturn’s ring system likely will remain unmatched for decades to come. 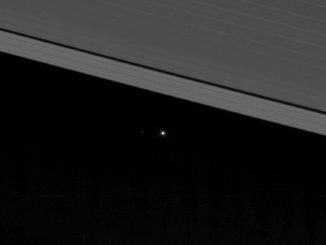 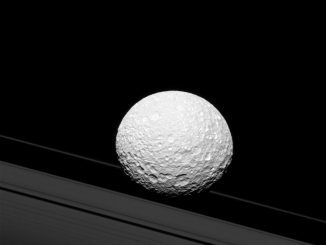 It may look as though Saturn’s moon Mimas is crashing through the rings in this image taken by NASA’s Cassini spacecraft, but Mimas is actually 45,000 kilometres (28,000 miles) away from the rings. 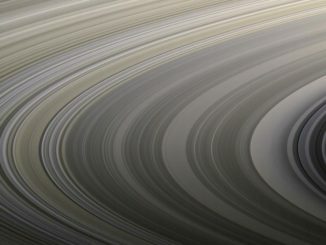 This view from NASA’s Cassini spacecraft showcases some of the amazingly detailed structure of Saturn’s rings. 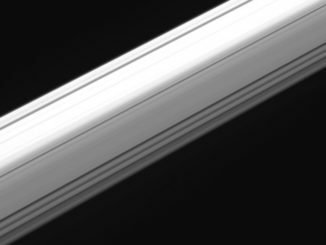 This view looks toward the sunlit side of the rings from about four degrees above the ring plane.